TOKYO -- Japanese automakers including Toyota, Nissan and Mazda are investigating whether falsely labelled products supplied by Kobe Steel have impacted the safety of their cars. Kobe Steel, Japan's third-biggest steelmaker, said staff falsified data related to strength and durability of some aluminum and copper products used in aircraft, cars and maybe even a space rocket. Toyota called the breach of compliance principles a "grave issue" and said it is working to identify which of its vehicles might be affected. It said Kobe Steel materials have been used in hoods, rear doors and peripheral areas. The materials were supplied to plants in Japan and factories elsewhere were not affected, Toyota said. Honda said it used the materials in question for doors and hoods of its cars. Mazda, Mitsubishi Motors, Suzuki and Subaru said they were checking to see which of their vehicles used Kobe Steel products and if there is an impact on safety. 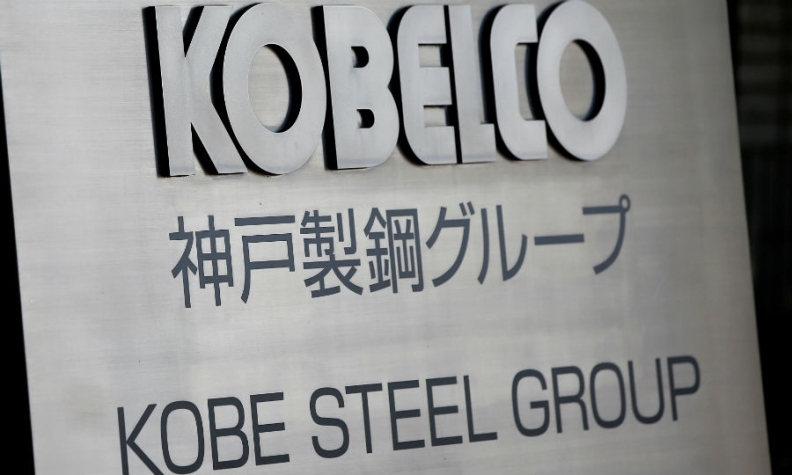 Kobe Steel said it discovered the data falsification in inspections it conducted on products shipped from September 2016 through August 2017, adding that there have been no reports of safety issues with products concerned. The affected products account for about 4 percent of its shipments of aluminum and copper parts and aluminum castings and forgings. The Japanese maker of metals and alloys said the products were delivered to more than 200 companies, but it didn’t disclose their names. It isn’t clear yet if all of the companies received materials linked to falsified data. According to data compiled by Bloomberg, General Motors and Ford Motor are also Kobe Steel customers. The fabrication of figures was found at all four of Kobe Steel's local aluminum plants in conduct that was systematic, and for some items the practice dated back some 10 years ago, Executive Vice President Naoto Umehara said on Sunday. Sales of Kobe Steel's aluminum and copper division fell 6.4 percent to 323.3 billion yen ($2.87 billion) in the financial year ending March 2017, with recurring profit falling 20.5 percent to 12 billion yen. The company, based in Kobe in western Japan, has been expanding its aluminum as automakers increasingly use the material, which is lighter than steel, to meet tighter environmental rules.